I arrived at the nest just as the male Osprey brought in a fish it had caught that morning, presumably after it had eaten the head. 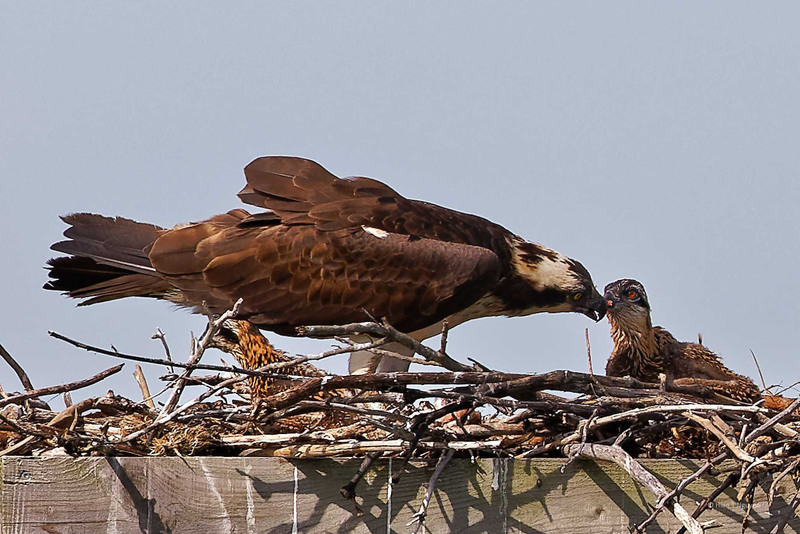 The female Osprey was waiting with two lanky and hungry young chicks. Female Osprey with two chicks. Male was in the back after flying in the fish it had caught. Having delivered breakfast, the male Osprey flew up to his perch, but he seemed to be nibbling something at his feet. Mama feeding chicks while Papa watched out for intruders. Beautiful captures, Hien! The male Osprey is ‘cleaning’ the fishy off his talons on the perch. 🙂 Have you ever seen the Osprey skim the water with their feet? Another way they clean their talons. Our male skims the water often after departing from a fish drop-off. I am still trying to capture him doing it! 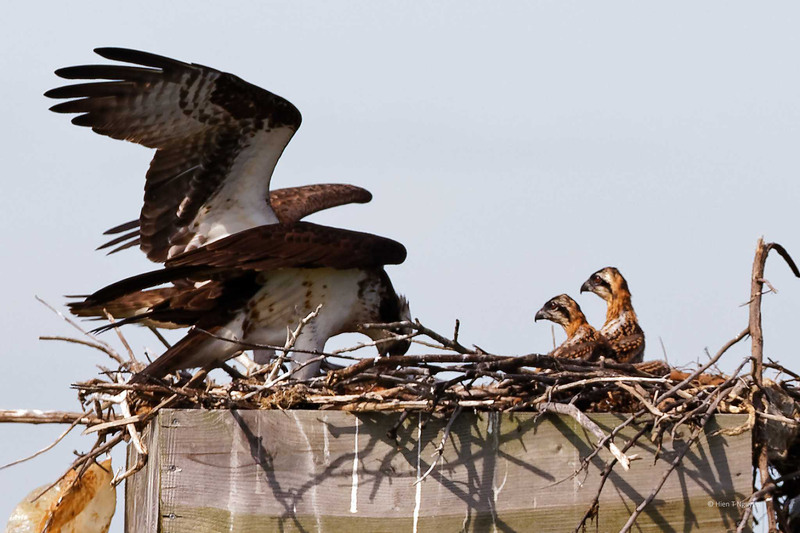 Lovely shots of the osprey family!! Beautiful job on some nice behavior photos. 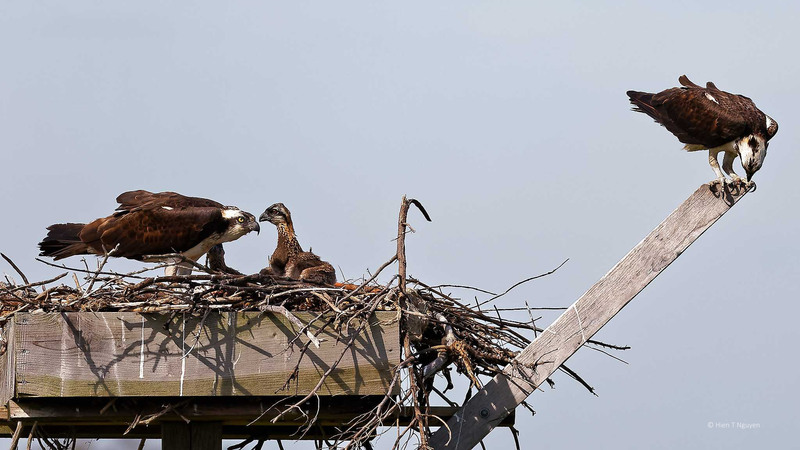 Incredible shots – I was just thinking imagine having such a fierce looking mother when I saw the photo of the mother passing the food to the chick with such care and tenderness! Thank you Emma! Maternal love is universal, I think. It’s what keeps the world turning! The little ones still have some way to go to look as imposing as their parents do! Must have been such a treat to watch, Hien? Dries, I’ve been watching them for several years and can’t get tired of it. Thank you very much, Sid! 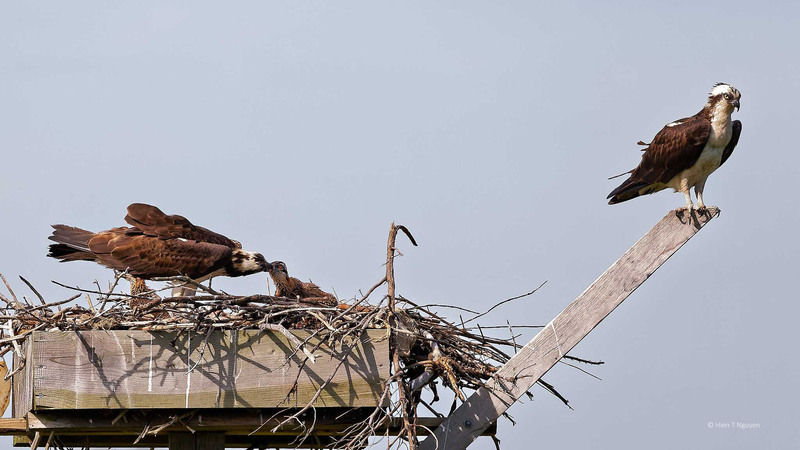 I love this series of images of the osprey! Thank you for commenting! Glad you like the photos!